Have you seen those memes circulating saying X Fridays left until Christmas? I saw one on Friday and had a small panic attack. There are 9 weeks until Christmas. Nine weeks, that's what my school year was split up as, most of you understand how quickly a report card comes. That's what we are facing here folks, we have nine short weeks to get all of our holiday sewing done. It's time we kicked it in high gear. You know how quickly some of those weeks go with other things going on like parties, programs, and cooking. You could make a Chevron Log Cabin Throw. Log cabin blocks go together quickly. If you had some uninterrupted time you could knock the top out in a day. You could make some string block mug rugs. 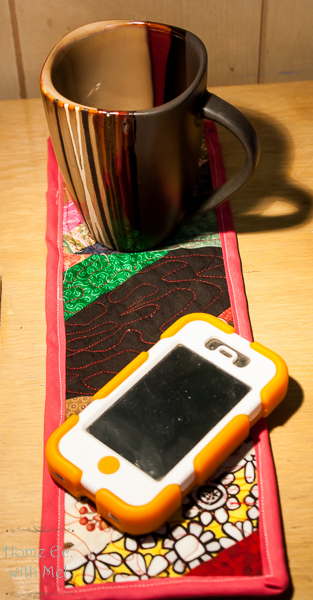 These go together quickly and you can never have too many mug rugs. 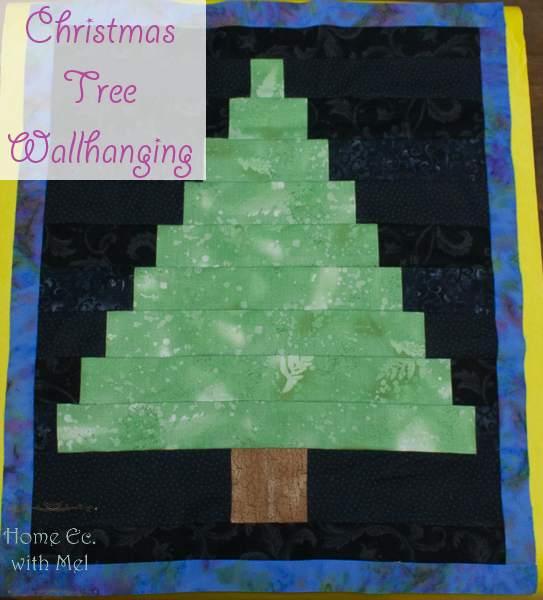 A Christmas Tree Wall hanging is a nice gift, ahead of Christmas, for those in a space where they can't put up a regular tree. 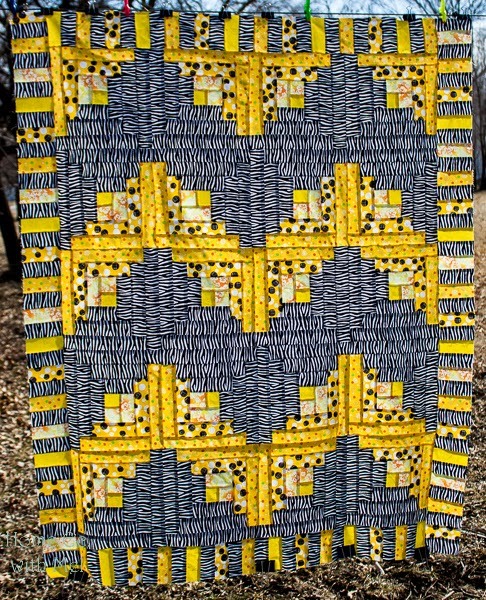 A table runner is a quick gift as well. I've used Christmas fabric in mine but you could use any fabrics that make your heart happy. A coffee can turned into a tool organizer is a welcomed gift for any crafter in your life. They are quick to make too. An infinity scarf is something every woman loves. 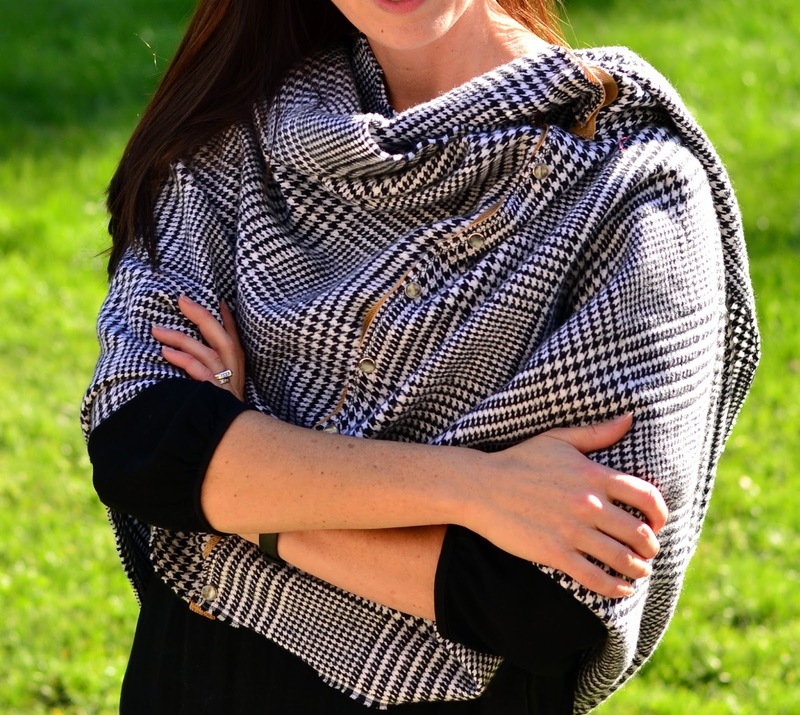 This knock off of a Lululemon scarf from Holy Craft is sure to make you a favorite gift giver. A a child and grandchild of sewist I got a lot of handmade gifts. 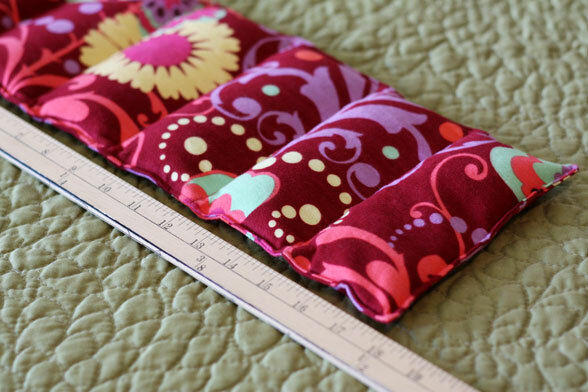 Don't forget to sew for the littles in your life too. 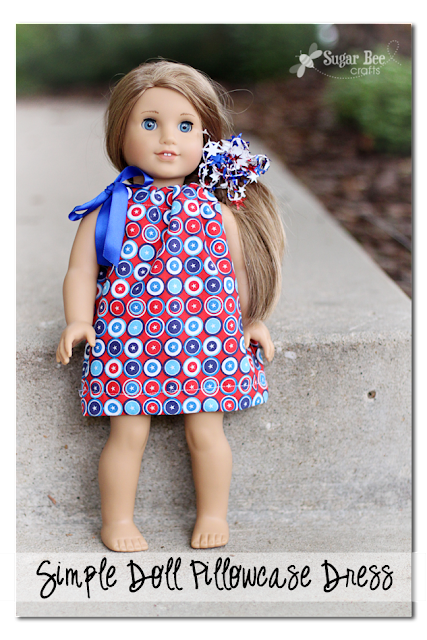 Some one of a kind doll dresses is sure to make the child light up with delight. A sleeping bag for the doll is super fun. That way the doll can go camping too! 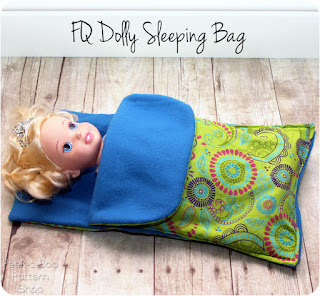 Bonus points if you can make it match the child's sleeping bag. 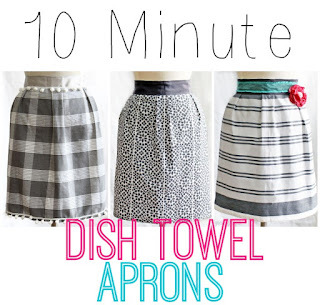 You can't go wrong with an apron either. 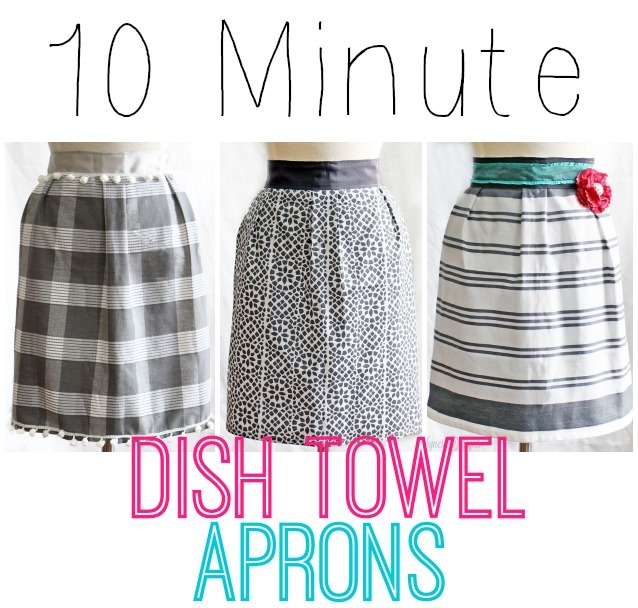 These dishtowel aprons will sew up in a snap. You could pair one with a nice cooking gift box too. A set of these for a family to use on movie night would be great. 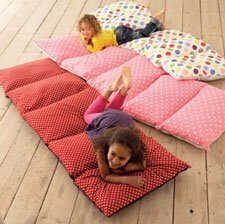 These "pillow beds" are perfect for families with little ones. An iPad stand is a great for the techie in your life. 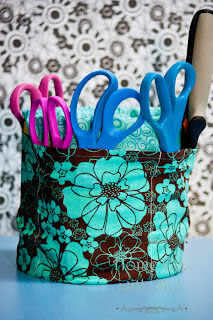 I have a similar one and it is so handy in the sewing room. I can watch TV on my iPad while I sew away. If you need to pinch a few pennies a stash present is the way to go. 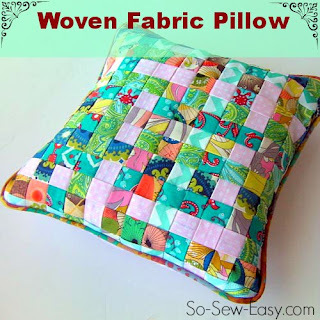 This woven pillow case does just that. 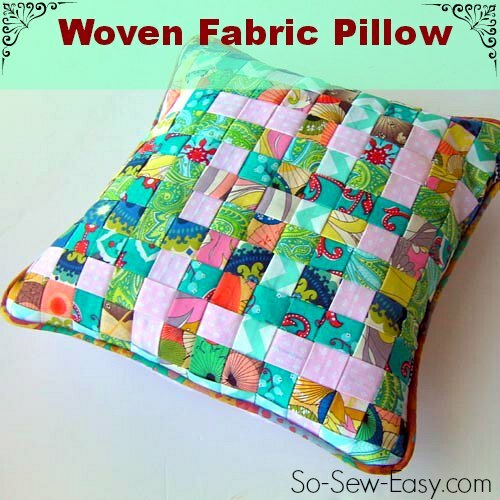 No need to buy fabric when you can use just about any fabric on hand. Every female needs one of these in their lives. When my husband has a Celiac flair he likes to put the heating pad on his tummy with an ankle weight. I realized that these rice packs do the same thing and the feel wonderful during "the time". 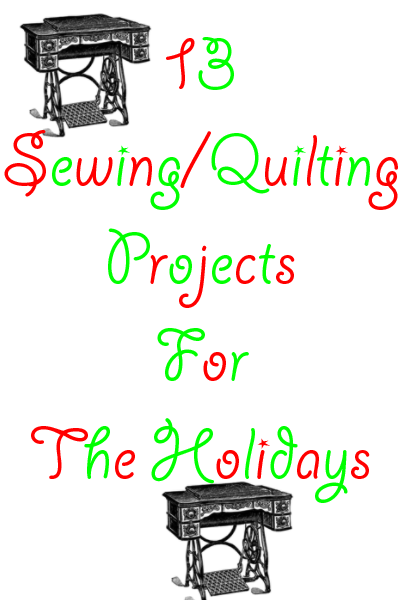 So what are you sewing for gifts?